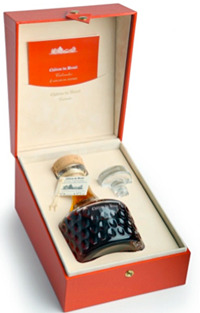 To celebrate the company’s four centuries of history, he presented Four Siècles de Légende, a unique blend of Calvados in a luxury carafe, packaged in a French-crafted wooden case (pictured). The opposite trend is also visible in packaging for on-the-move consumers, such as wine (still and sparkling) in cans but also single serve PET wine bottles with integral PET glasses. 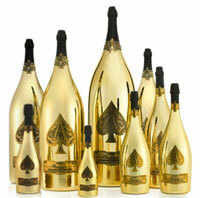 Freixenet was showing a 20-cl glass bottle of mini-brut - again with its own glass. Wine-based flavoured drinks such as grapefruit rosés, sour cherry reds or peach whites were again in the spotlight alongside low-alcohol beverages with good health- and price-related arguments for consumers, like for example the new sparkling wine Affinity By Ackerman. Wine and spirits brands are also becoming more and more connected as they seek to extend the tasting experience on Internet with their website or with social media by using QR codes displayed on their bottles. Finally as is often the case, one trend can often lead to another. Wine and spirits producers are trying to highlight their family heritage and legacy by going back to their roots. One illustration of this trend is Cognac Vinet-Delpech with its new “family album” range, which pays homage to succession of distillers, whose portrait is displayed on the labels.